From poor oral hygiene to a diet high in sugary foods and drinks, a number of factors can lead to childhood cavities. For some, these cavities could mean eventual infections or even premature loss of baby teeth, a major cause of misalignment. 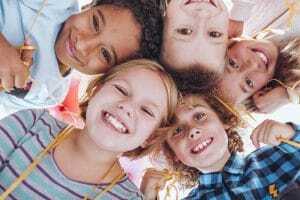 How do you protect little smiles from tooth decay, and when should parents bring their kids to see their Richfield, MN, dentist? Our body offers a natural means of tooth decay prevention: tooth enamel. The hard substance coating our teeth protects the sensitive inner tooth structure. However, poor oral hygiene and consuming sugary and starchy foods and drinks may cause plaque buildup to accumulate, leading to weakened tooth enamel and an elevated risk of tooth decay. Lack of treatment means the cavity continues to grow and spread, eventually leading to an increased risk of infection or abscess and for some children, premature tooth loss. When kids lose a baby tooth early, this may lead to misalignment. Fortunately, preventive treatment and routine care can help safeguard the smile. Often, children with cavities will report tooth sensitivity to hot or cold foods and drinks, as well as aches that do not subside after 48 hours. Don’t ignore this pain, as the discomfort could grow worse without treatment. Other possible problems that could cause aches include teeth grinding, cracked or chipped teeth, and dental infections. Let us know if your child reports pain in his or her smile. First, your child should be attending routine checkups and cleanings. A checkup enables the dentist to examine the smile and look for the earliest signs of cavities, treating them before pain develops. A cleaning then removes plaque buildup, which helps safeguard the outer layer of tooth enamel. At home, children of all ages need to brush twice daily for two minutes each time. Kids three and up need to use toothpaste that contains fluoride. Flossing before bed is also crucial for removing food particles, and avoiding decay, as well as poor gum health. Finally, cutting back on the consumption of sugary foods and drinks can also aid in cavity prevention. Drinking water and eating healthier snacks will help improve smile health, and your family’s overall health as well. If you have any questions about identifying and treating cavities, or preventing tooth decay altogether, then please contact our team today. We offer care to help your children enjoy healthy, beautiful smiles with a personalized approach to family dentistry. 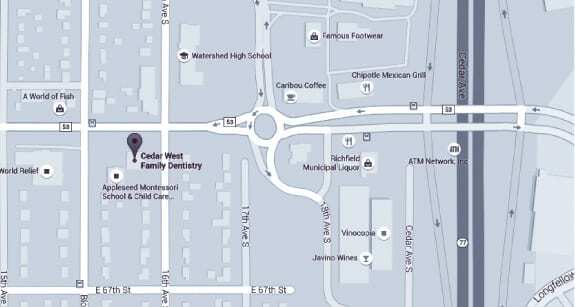 To learn more about our approach to children’s and preventive dentistry, schedule a consultation with Dr. Keller by calling Cedar West Family Dentistry in Richfield, MN, today at (612) 861-7188.